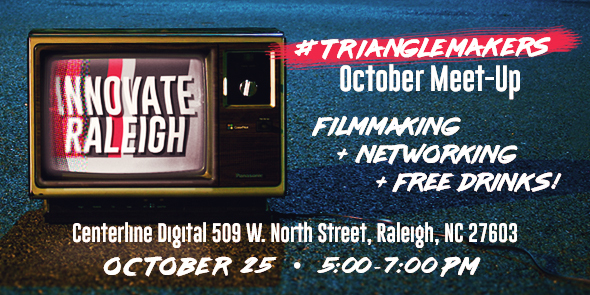 What: Join us for a afternoon social featuring the filmmakers and companies behind the #TriangleMakers Film Series. This exciting peak into Triangle’s innovation ecosystem happens at the film series' headquarters: Centerline Digital! Parking: Will be tricky. There are nearby decks; don't get a ticket!